Hi Soulsters! Today, let’s reflect and celebrate the legacy and spirit of Dr. Martin Luther King, Jr. With all that is going on in this country today, such as inequality, social injustice and division, let’s honor the man who shared his dream and lead us towards it. We have come a long way since then, but there is still a long way to go. Common’s song, “Dream” pays a great homage to Dr. King and the spirit of the movement. 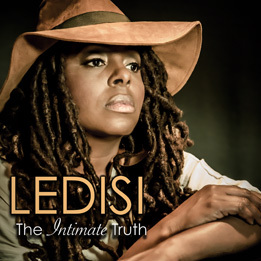 Dr. King inspired this song and this artist along with many others. Powerful words…powerful song. Check out the video and listen to the message. 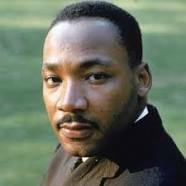 Thank you Dr. King! Award Season: Glory! Congrats to John Legend and Common! 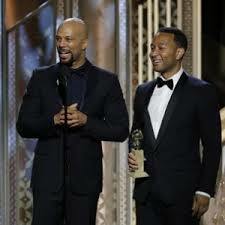 Singer, songwriter and activist, John Legend and Rap artist and poet, Common captured the Golden Globe for Best Original Song with “Glory” from the motion picture Selma last night. Being a long-time, mega fan of both of these artists, I was so proud watching the broadcast last night when their win was announced. Both are extremely talented and so active in the community, so I would like to honor them here on Soulster Vibes. Legend and Common’s “Glory” is an example of what music can do and how it can reach and influence the masses. What an awesome and powerful song. It speaks so much to the turmoil, division and unity of today as well as during the Civil Rights Movement as being one in the same. See their powerful acceptance speech here and the “Glory” video (with words) below. Soak it in people and share your thoughts of the song and this wonderful moment in music. Post Update: The official video just came out! Check it out below!